I love owls and especially during the holidays when I enjoy Owl Christmas Decor like tree ornaments or throw pillows. I also love to use owl Christmas gift wrap and send cards with owls on them. 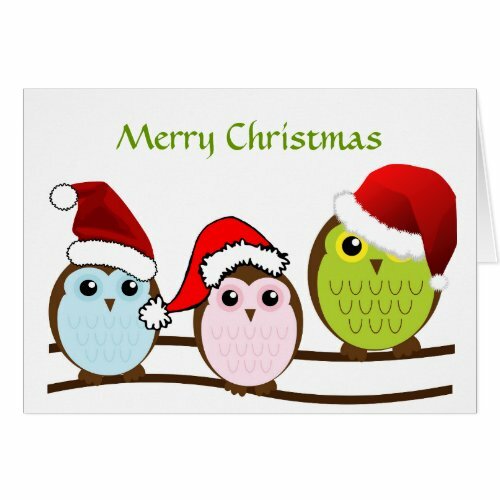 The image above was taken from a creative commons image of three owls on a branch, I changed the colors of the owls a bit and for the Christmas design I gave them all Santa hats. There are some fantastic owl Christmas tree decorations available as well, both from my own Owl Zazzle Store and from other peoples, we just love Owl Christmas ornaments! 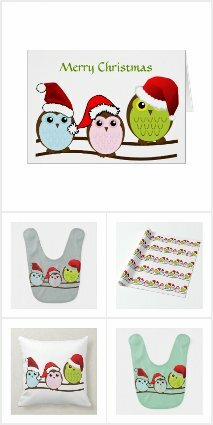 I hope you’ve enjoyed looking at some of the Christmas owl designs available to spice up your holiday season.